May 7 Menu Labeling Deadline is Almost Here! The Pierce County Council proclaimed May 6-12 as National Travel and Tourism Week during its May 1 meeting. The proclamation cited “ever-growing economic benefits” for the county, bringing in more than $1.23 billion in traveler spending, employing more than 12,000 people in the county and paying more than $300 million to employees. The council encourages citizens and community organizations to observe the week with appropriate events and commemorations. Speak Out Against Seattle Jobs Tax! The Seattle City Council is quickly moving forward with plans to establish a tax on jobs to raise another $75 million to spend on its response to homelessness. Use this letter-writing toolto tell the mayor and council members why the jobs tax is such a bad idea. Please email teddim@wahospitality.org if have any questions or would like to get further involved. Murphy Brothers has requested the City of Spokane to completely close Monroe St. from Indiana Ave. to Chelan Ave. starting May 8—a proposal that could complete construction up to three weeks earlier than planned. For residents and business owners, this means only Knox and York will be open for traffic in this area. Affected business owners will receive a note in the coming days informing them of the change. To find out what streets are open in the area, visit Meet on Monroe. The 2018 Bloomsday race kicks off at 9 a.m., promising to be one of the busier days for restaurants all over the area. For hoteliers, this means increased bookings all weekend for those who have traveled to the Spokane area for the race. Last year, almost 40,000 runners, walkers and wheelchair racers finished the 12k course. For more information about the annual Bloomsday run, visit their website. Washington Hospitality Magazine’s May issue is out. This is the 2018 Legislative Review featuring a legislative report card, a profile of our legislative heroes and a full rundown on the legislative session. And in case you missed it, here’s a link to last month’s issue of the magazine. The Pierce County Lodging Association invites all hoteliers in Pierce County to join a general membership meeting at 2 p.m. on May 14 at the Hotel Murano in Tacoma. 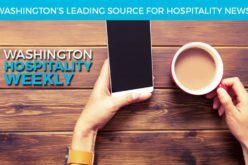 The meeting will take place as a breakout session during the Washington Hospitality Association Hospitality Summit. The meeting agenda includes a discussion of what the Pierce County Lodging Association is and its intended direction, a government affairs update, a tourism promotion area update, a Travel Tacoma+Pierce County update and discussion of recent Smith Travel Research report numbers. For more information about the PCLA meeting, contact Joe Bushnell at JoeB@wahospitality.org or call 360.956.7279. Inhospitable to Human Trafficking: Training Workshop, May 10 – Register Now! Join us at the Seattle Marriott Redmond, Thursday, May 10, 10 a.m.-noon, for a training workshop on preventing human trafficking at your hotel! This workshop will guide you through BEST’s human trafficking training course, which will equip you with best practices to identify and report suspected trafficking incidents, prevent trafficking, and increase hotel safety. The workshop will also include a panel of anti-trafficking experts from law enforcement and the legal industry. You will learn about local anti-trafficking efforts, how to build relationships with relevant local law enforcement officers, and about local services for survivors. You can find more information here. Please register by Tuesday, May 8. Food Recovery Summit, June 7 – Register Now! The U.S. Environmental Protection Agency, Region 10 is pleased to present a Food Recovery Summit for the hospitality industry at CenturyLink Field in Seattle, on Thursday, June 7, 8 a.m.-noon, and hosted by First & Goal Hospitality. This event will feature panels of prominent chefs from throughout King County, focused on food recovery and sustainability within their organizations. Also presenting will be experts in food recovery and waste prevention. Tip Pooling and Safe Step Tile on This Week’s DineNW Radio Show – Listen Online! Don’t miss this week’s DineNW show, now online. Co-hosts Andy Cook and Paul Schlienz talk tip pooling with Bob Donovan, principal at Donovan Employment Law. Andy and Paul then chat with Ron Leonard of Safe Step Tile.